Descending to earth to take a bath becomes one fairy's sweet misfortune when a woodcutter falls in love with her. 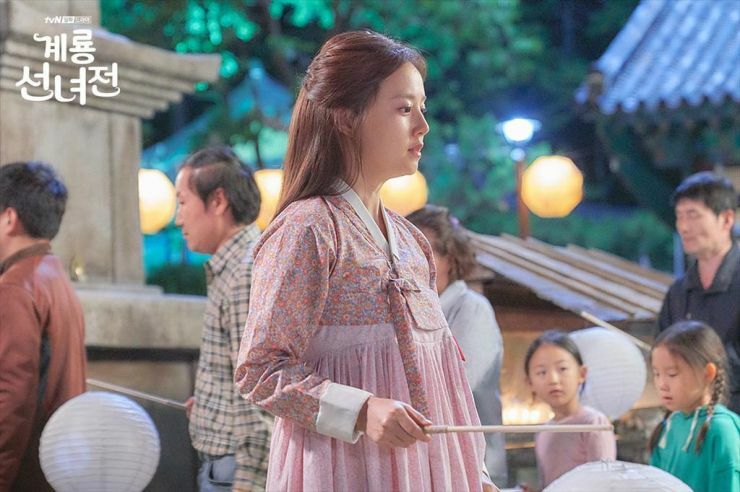 Mama Fairy and the Woodcutter or Tale of Fairy (alternate title) is the strange and mystical tale of fairy Sun Ok-Nam (Moon Chae-Won) who descends to earth during the Joseon dynasty to take a bath. A woodcutter (Yoon Hyun-Min) travels through a forest and happens to find the fairy pond after rescuing a deer. Upon seeing Ok-Nam bathing, he steals her clothes, forcing Ok-Nam to remain on earth and causing her to lose her wings, unable to ascend to heaven. The woodcutter makes her his wife but dies before he has the chance to return her celestial clothing. After 699 years, Ok-Nam becomes a modern-day barista but normal humans can't see her true image. Instead, they see her as an aged and odd grandmother (Go Doo-Shim) but two men stumble upon her coffeeshop and fairy pond, able to see her youthful beauty and fairy form. 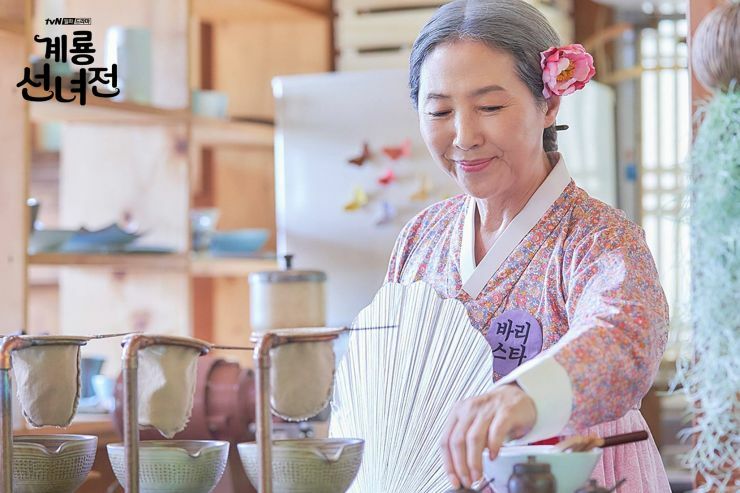 Ok-Nam is convinced that one of them is the reincarnation of her husband who will be able to recollect his memories and return her clothing. Where do I even begin? 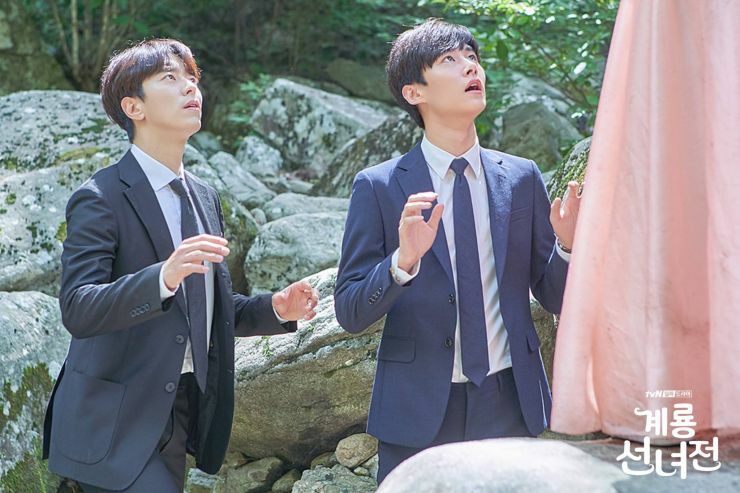 This oddball of a drama is based on the webtoon, 'Tale of Gyeryong Fairy.' 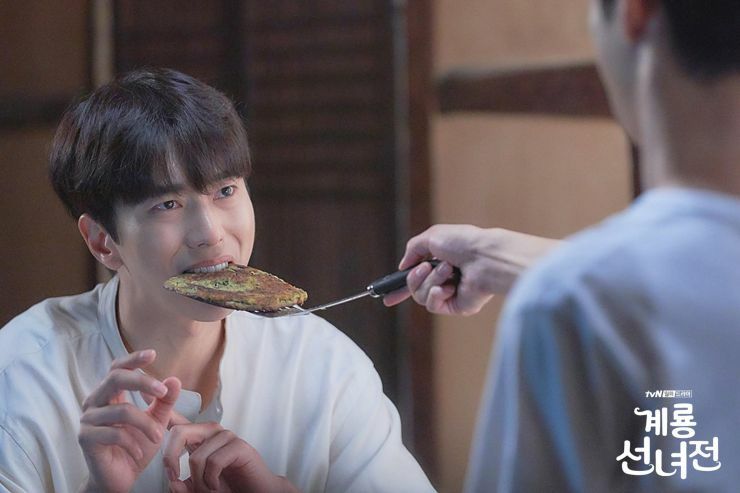 And as a webtoon I'm sure it's an enjoying read but as a drama, there are clearly some setbacks and oddities that you either like or leave you scratching your head. The pilot episode also dives right into the heart of the story, with our two husband candidates stumbling upon Ok-Nam's coffeeshop while all the encounters and backstory set in Joseon are seen through flashbacks or certain narration breaks, creating a sense of loss since you're not sure where this is all headed. I guess a good place to start is to discuss our two leading men. 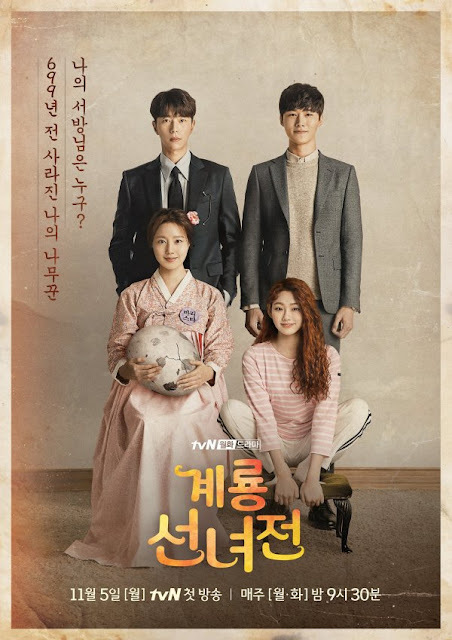 Jung Ji-Hyun (Yoon Hyun-Min) and Kim Geum (Seo Ji-Hoon) are a great duo and I like how they're not strangers to one another or enemies but have this endearing Professor-Student relationship that's more brotherly. They provide plenty of laughs in the first episode while clearly defining their differences by the end of episode 2. 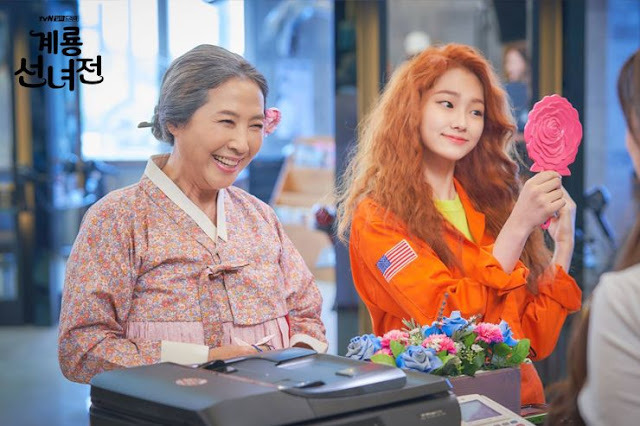 Ji-Hyun is a germaphobe and complaining Professor who suffers from insomnia while Kim Geum is an all-around sweetheart who has the ability to hear the thoughts of animals. I think what's interesting about the two is that they readily define Ok-Nam as an otherworldly being, assuming she's a gumiho at first. This readiness to accept something so abnormal and to 'casually' confirm it as a fact really speeds things along in the story and makes legroom for other aspects and angles. Their relationship was already formed and established long before Ok-Nam comes into the picture so I think for once, we won't be dealing with great resentment and fuming males but more petty jealousy and fair rivalry. Of course the strangeness of the show doesn't end with our central characters since Ok-Nam's daughter, Jeom Soon (Kang Mina) is a cat growing out to be a full grown tiger. There's also side characters who were once heavenly beings or reincarnations to add more bizarreness into the mix. And that's when the drama begins to encounter setbacks since a lot of it becomes spoiled with cringe-worthy CGI effects. If they intended to include animation, they should have at least put more effort into it but if you can stomach the bad quality then the show will be just fine for you. As far as pacing goes, the drama is steady with some fairly decent story progression although I think slowing down just a tad bit during the premiere would have helped to differentiate all the characters. In normal circumstances, I wouldn't find the swiftness of it all an issue but we're dealing with reincarnations and celestial figures here after all. 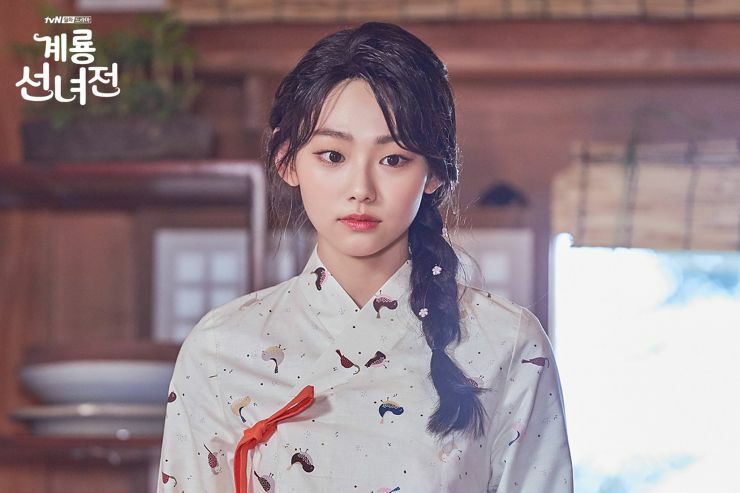 I also think having us breeze through Ok-Nam's backstory without giving it more metaphysical value or shrouding it in more alluring mystery takes away a lot of interesting elements of the story that are usually setup and delivered this way in a lot of fantasy dramas. I know the show isn't dark and fully describes itself as being a light watch, but dishing out an entirely light meal isn't filling enough. Since the story is entirely unheard of, I guess it's easy to say this is fresh and new but I really can't make assumptions about where this is headed or what's in store since the drama is definitely questionable and juggling various story elements that are hard to envision or replicate onscreen. If you like fantasy, a drama where you don't have to read too much into things, and strange love stories that transcend time, then this might be what you've been looking for. Thanks for the review! I like Moon Chae Won so I will give this a watch. I have always disliked the woodcutter in the original story so I'm interested how they are going to make this romantic and not a story about deceit, a creepy forced marriage and Stockholm Syndrome which was I took away from the original folktale. I think the CGI is fine. It's not Hollywood level but after some of the truly appalling CGI i've seen in C-dramas the CGI is more than adequate. 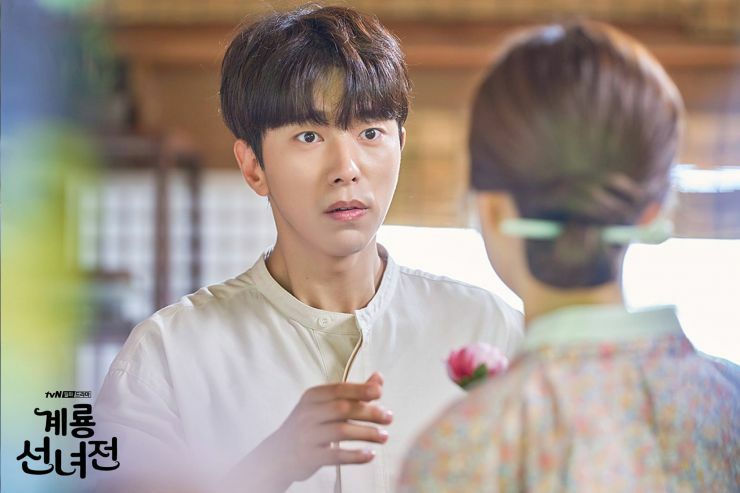 I've read K-netizens haven't reacted to well to Yoon Hyun Min's portrayal. 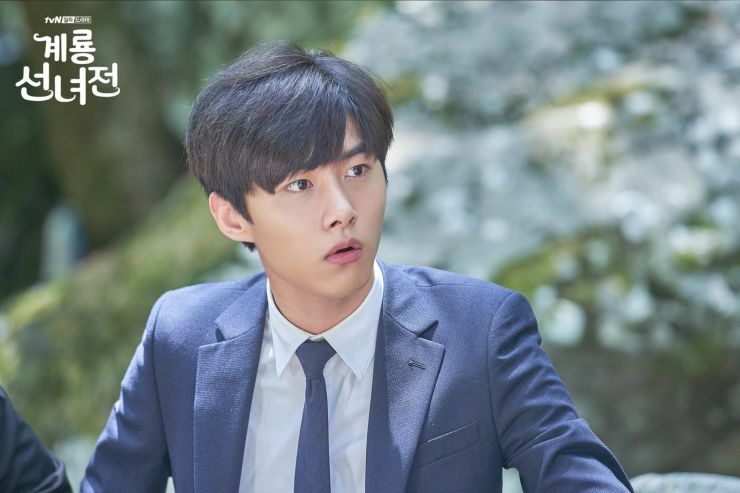 He's an actor I have never previously warmed to so I can't help being disappointed he is lead especially as the other leading man, Seo Ji-Hoon, is so much more appealing in my opinion. 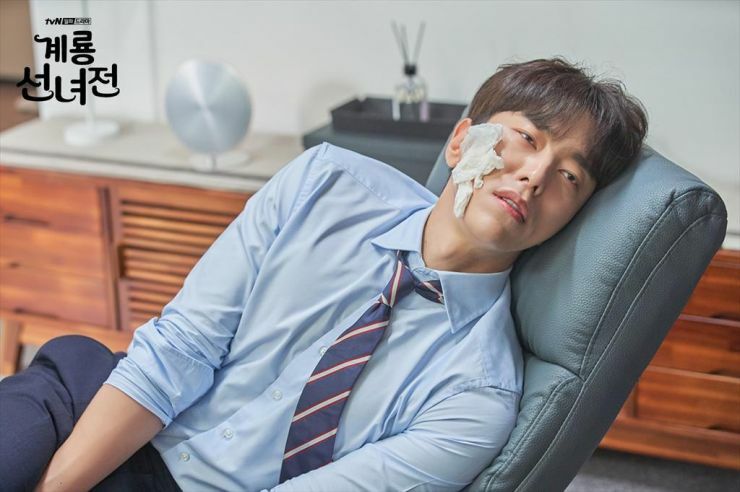 I'm a huge Moon Chae Won fan, and I've been unsatisfied with her recent projects, but when she finally picked up this light rom com, I was excited. 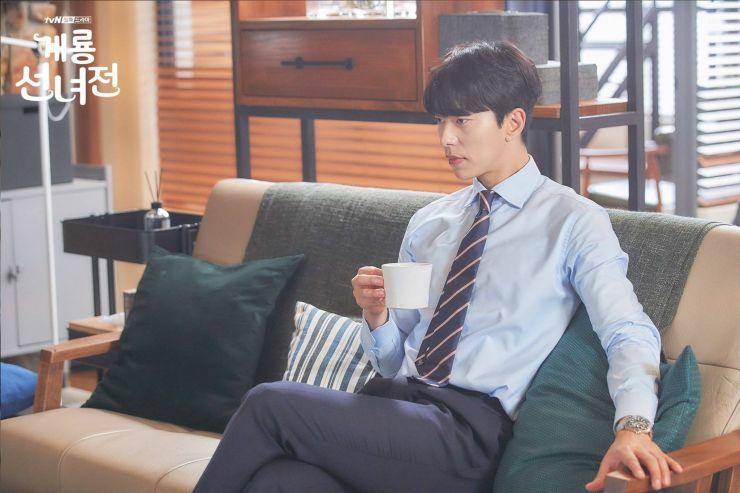 I was also disappointed in the casting for the male lead, his fans say is a really good actor and that this drama was below his acting belt. I don't find him to be attractive either but he's growing on me a little. The second lead, Geum is very cute so he's getting all my points. I don't look forward to this drama every week, but do enjoy it when I get some down time and watch it.